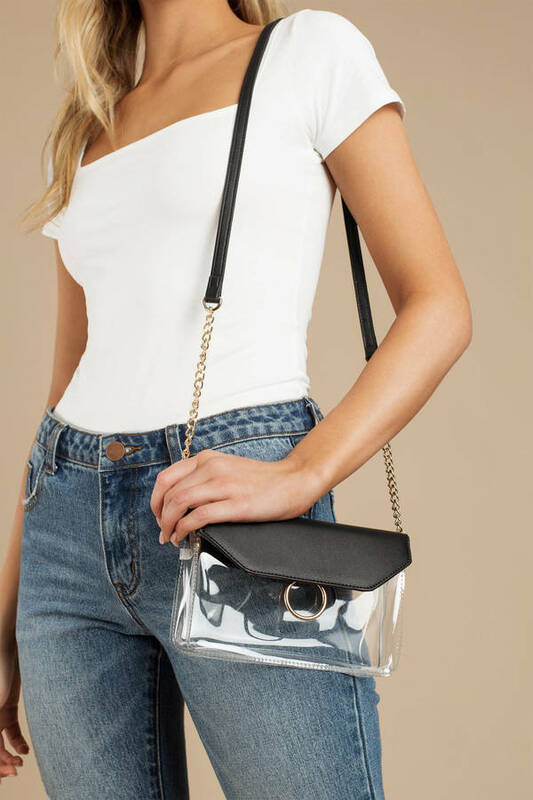 Check out Tobi's Lexie Vinyl Crossbody Bag Let's make one thing clear: the Lexie Black Vinyl Crossbody Bag is the clear purse you need to elevate your bag collection. This vinyl envelope purse features a transparent body with a faux leather flap, flat bottom, an O-ring in the center, chains, and a faux leather strap to finish. 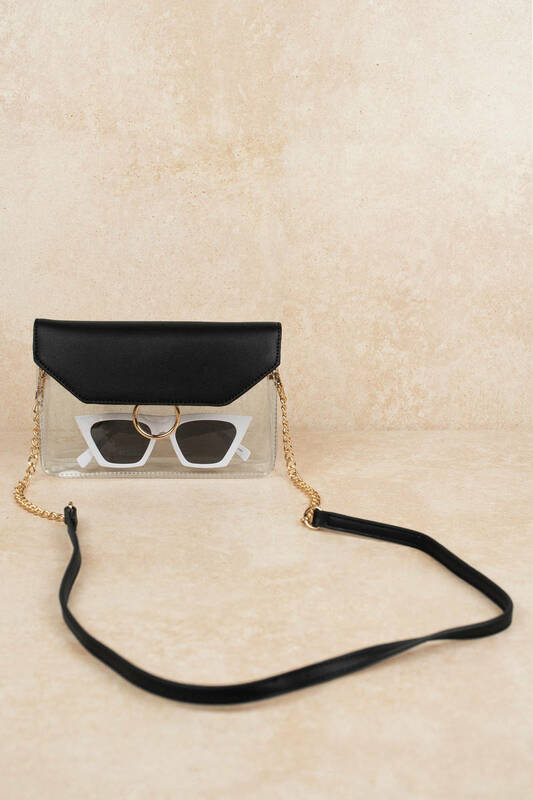 Fill this clear bag will all your cute essentials. Let's make one thing clear: the Lexie Black Vinyl Crossbody Bag is the clear purse you need to elevate your bag collection. 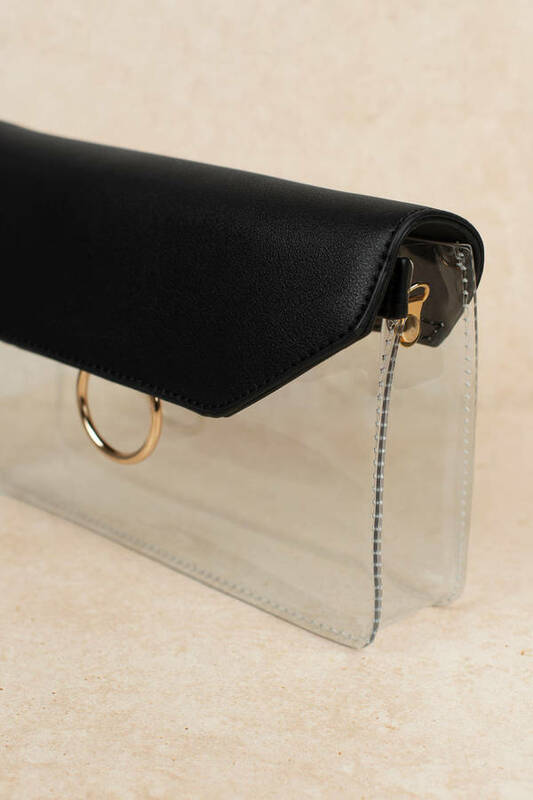 This vinyl envelope purse features a transparent body with a faux leather flap, flat bottom, an O-ring in the center, chains, and a faux leather strap to finish. Fill this clear bag will all your cute essentials.